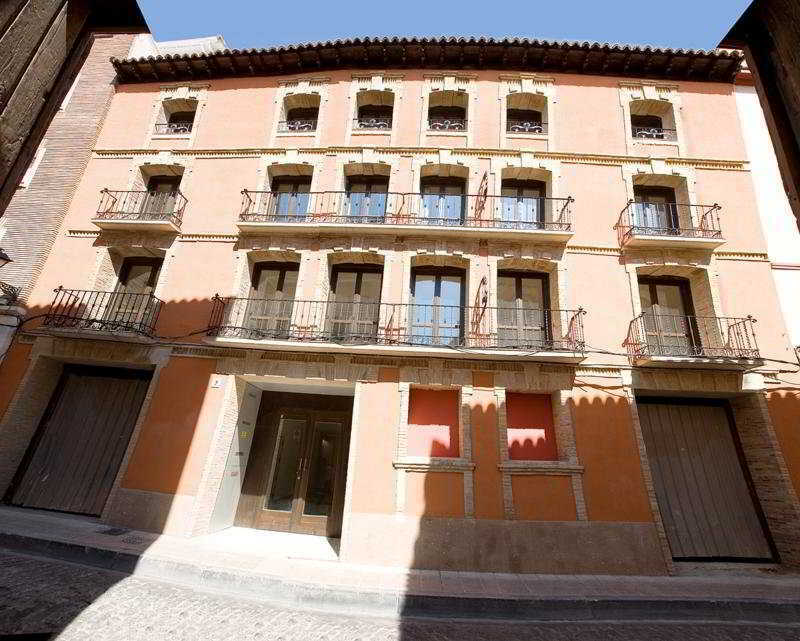 LocationThe apartment hotel is in the centre of Zaragoza, only a few metres from the Plaza del Pilar, Plaza España and the shopping area. It is an ideal starting point for the Ruta de los Sitios (Route of the Siege). Zaragoza Airport is situated at a distance of approximately 15 km.FacilitiesThe hotel comprises a total of 14 rooms. Most of the storeys can be reached by lift. A laundry service is available to guests. Travellers arriving by car can leave their vehicles in the garage or in the car park.RoomsEach of the rooms is appointed with air conditioning, central heating, a kitchen and a bathroom. A balcony or terrace is among the standard amenities of most rooms. A safe and a minibar are also available. A fridge, a cooker, a microwave and a tea/coffee station ensure a comfortable stay. In addition, there is a washing machine and an ironing set. Internet access, a telephone, a TV, a CD player, a DVD player and WiFi add to the comfort of the holiday. Rooms suitable for wheelchair access are bookable. The bathrooms are fitted with a shower and a bathtub. A hairdryer is also available. Bathrooms with wheelchair access can also be booked. The accommodation offers non-smoking rooms.PaymentThe following credit cards are accepted at the establishment: VISA and MasterCard. Discover all I Zaragoza can offer you!